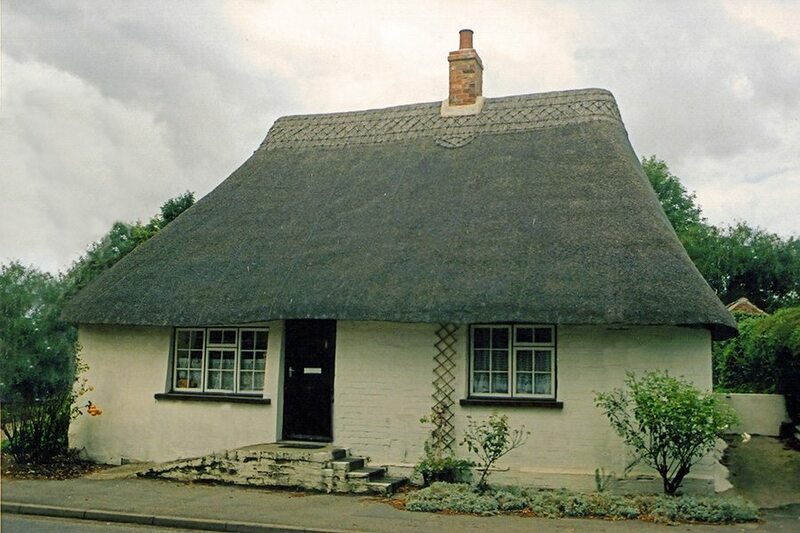 Alford thatch… This attractive town has a fair amount, including this pleasant group. Dating from the sixteenth and seventeenth centuries. The younger ones being double storied. 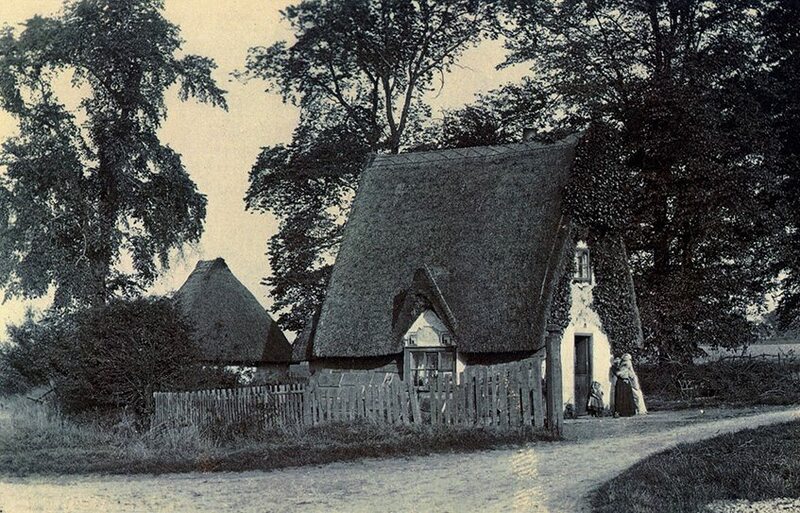 A roof opposite is ridged with tiles, in the Northern thatching tradition… In 1568 one William Marshall was prosecuted, for ‘bringing a lighted “squybb” into the town of Alford among thatched houses’. A century ago, Charles Innocent the Sheffield architect and writer, noted that the north country term Thack, was used to describe the various plants, growing in the drainage ditches, in the: ‘sea marsh’ area of the county. 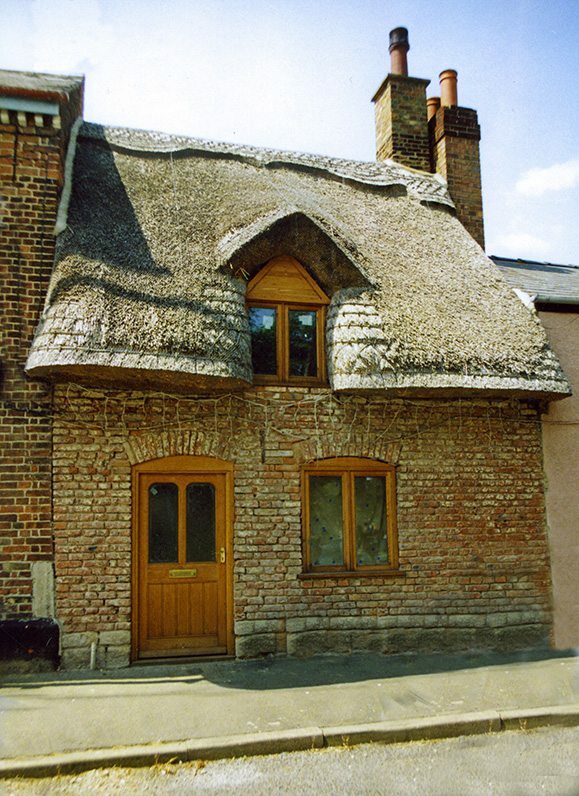 Hinting at an even wider range of thatching materials in the past. 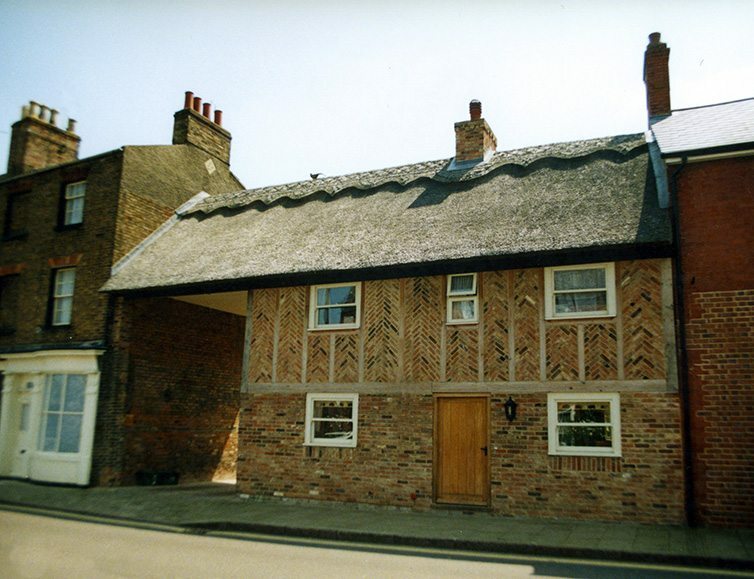 No doubt all fixed firmly with thatching spars; known here as speets. 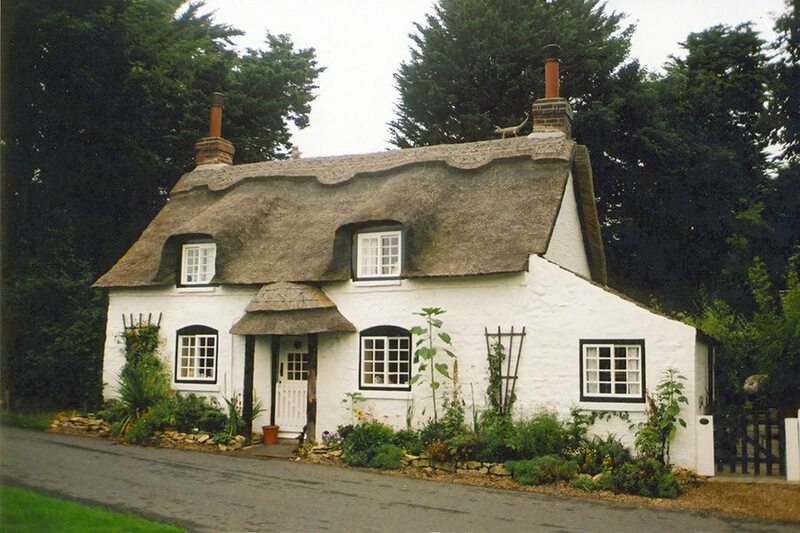 Riverside thatch… The upper cottage lies in Appleby, just a short distance from the Humber. 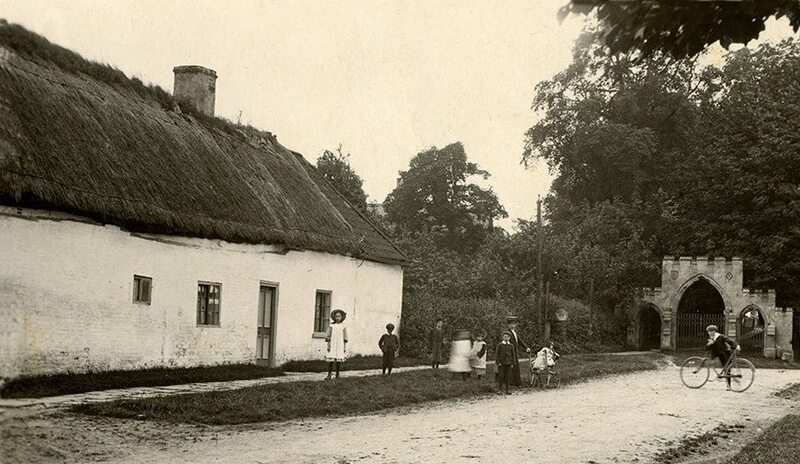 The lower thatch once graced the village of Owston Ferry. 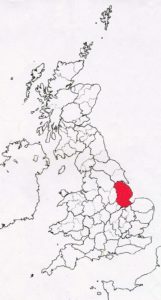 Which lies on the Trent. 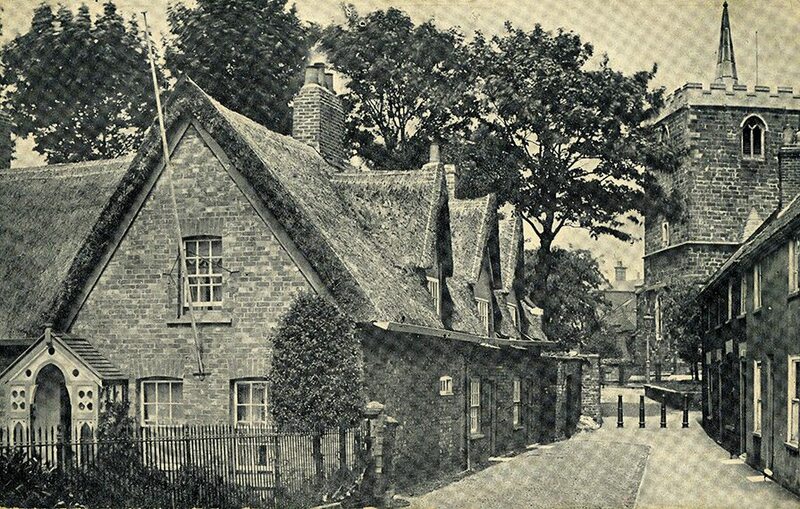 A turf ridge topping this roof, a century ago. 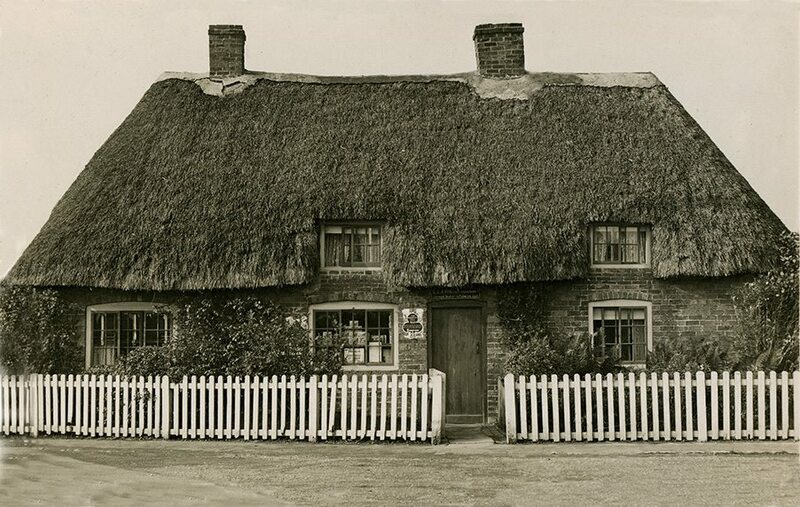 Long Straw… In a angular style, at Baumber and a round ‘Cottage Orne’ thatch at Langton by Spilsby. 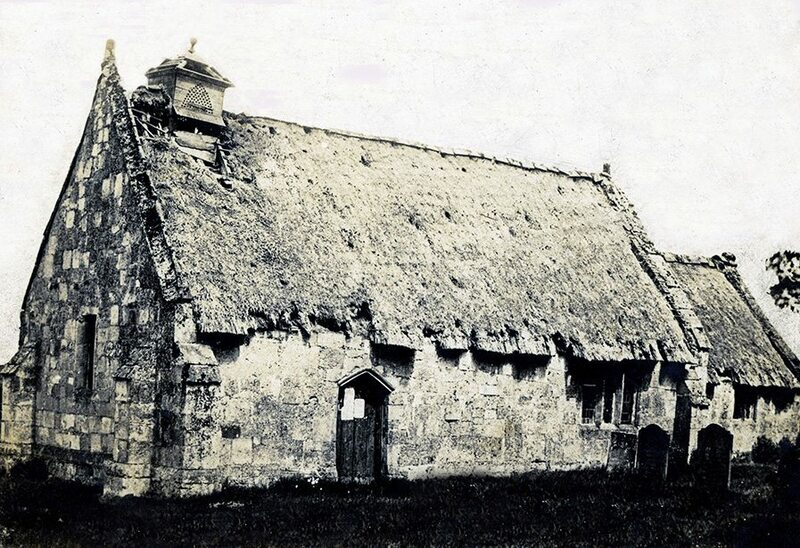 Much grander… Is the large seventeenth century thatch, near Gosberton. 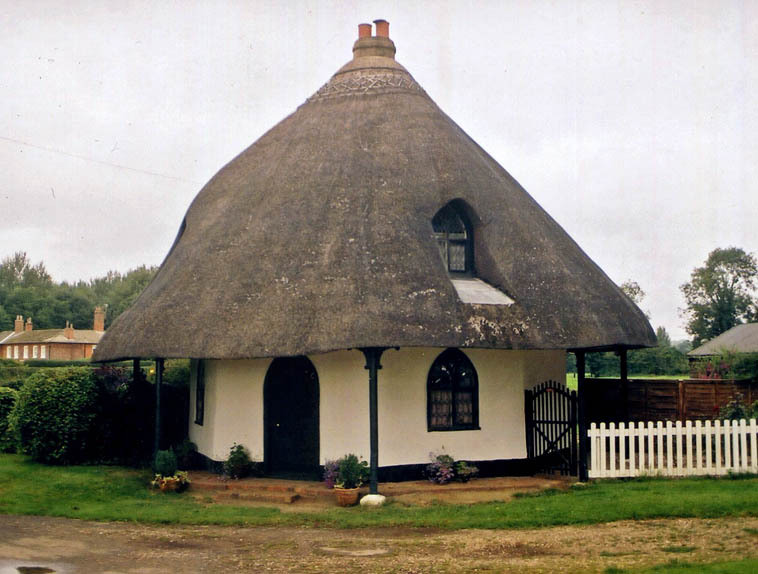 Teapot Hall, has already been examined in the History section, as it’s design was reminiscent, of a very early type of house. No walls as such, creating a tent like structure. 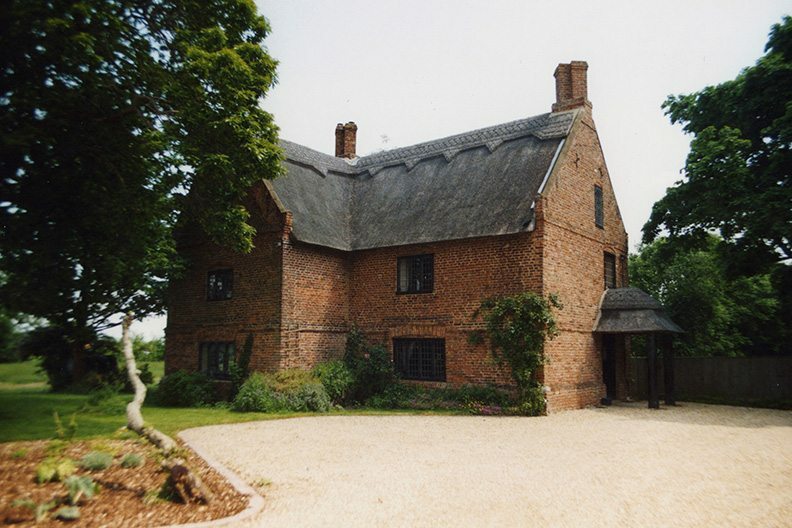 It was examined, in the years before the First World War, by the architect Charles Innocent. Who was convinced it could not be younger, than the Middle Ages. 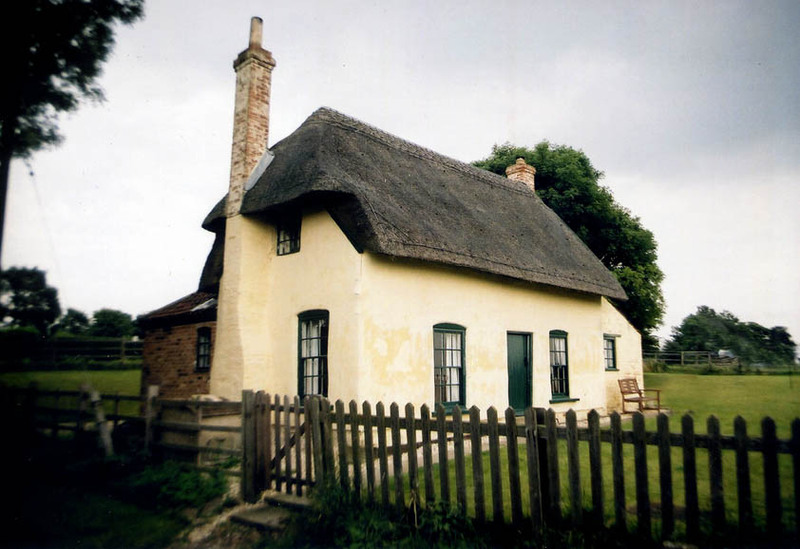 A seventeenth century date, has also been suggested for this cottage. By none other, than the RAF. Well, to be honest, some rather inebriated members of that august service… It seems that on the night before VE Day, 7th May 1945, a group of airmen were making their unsteady way, back to RAF Coningsby. 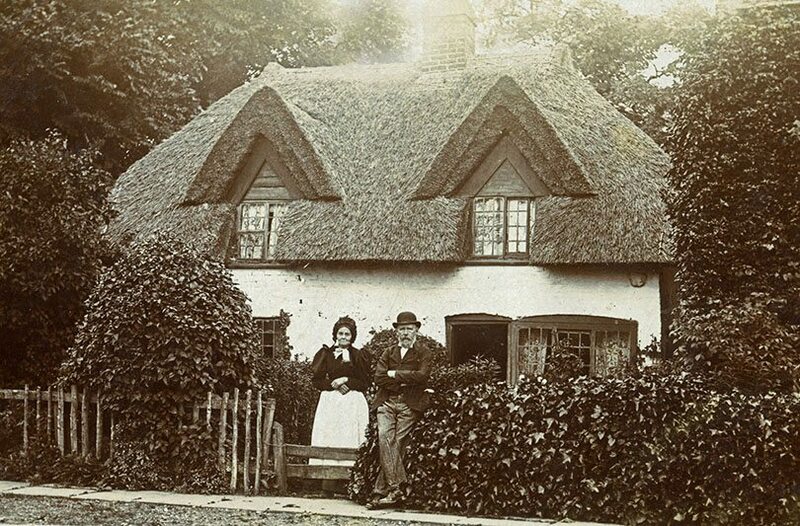 What induced them to set fire, to an empty roadside cottage, we’ll never know. However, they did and no doubt it made a rather spectacular celebration bonfire! 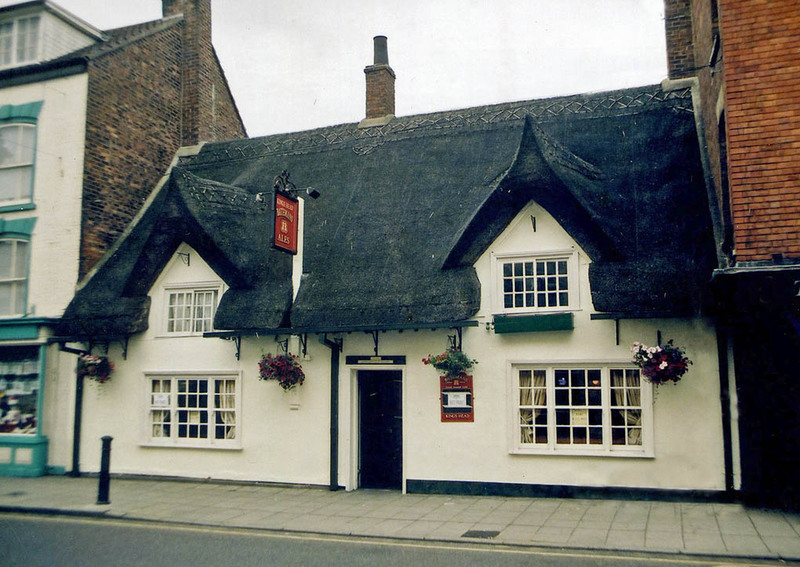 The Horncastle fire brigade, spent four fruitless hours at the scene. A memory still fresh, for the youngest member of that fire team. The then seventeen year old, Russell Danby. 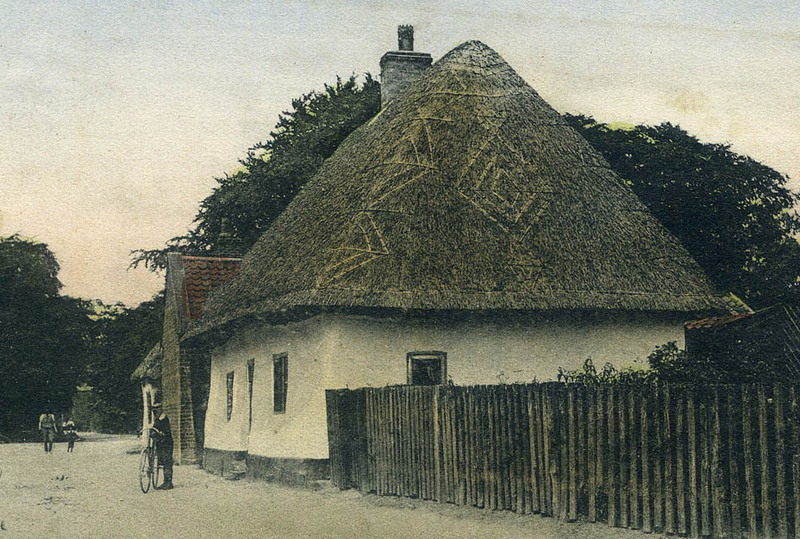 ”Teapot Hall, Teapot Hall, all roof and no wall”… A little too close to the road, to avoid the attentions of the RAF. This image was taken a half century before it’s destruction. Photo; courtesy David Holmes. All this occurred some years before any official ‘listing’, protected such vulnerable buildings. 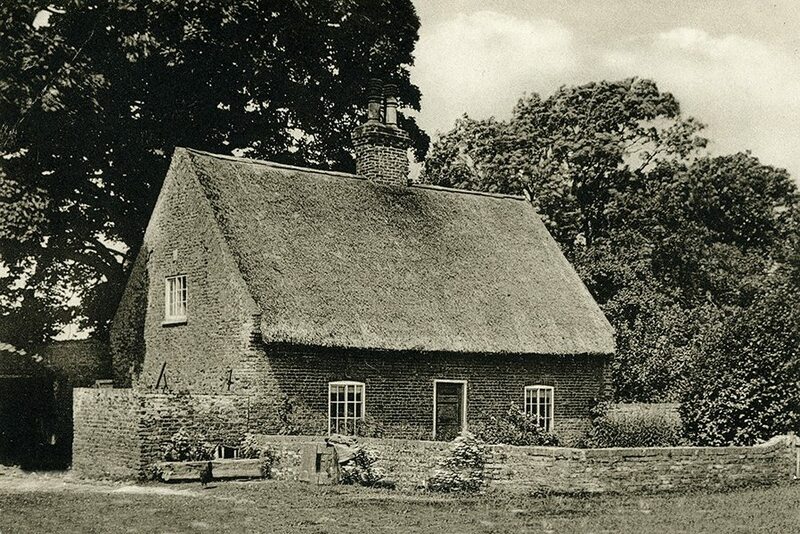 In fact, as a further page of the History section shows, it was all to easy, for officialdom to classify a humble cottage, as unfit for human habitation. Perhaps that’s why those happy airmen found an empty cottage to burn. 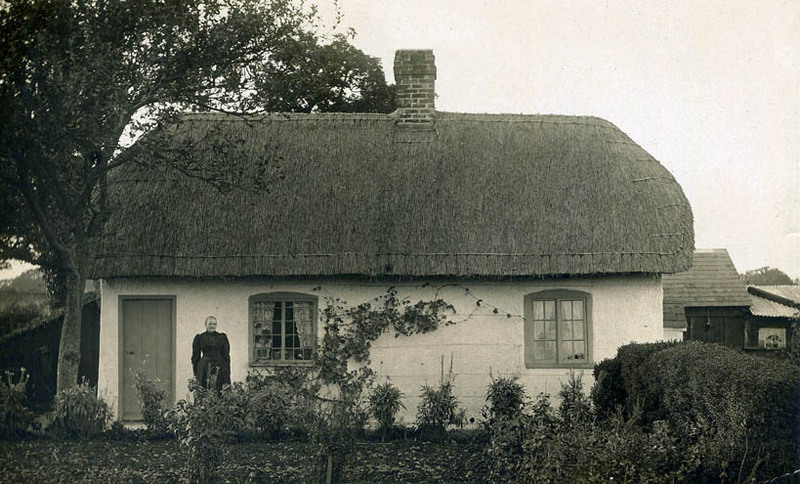 Being just one of many condemned thatched buildings, then found in Britain.